Police have confirmed that Rian Lawrence, who was wanted for questioning in connection with a homicide which occurred on Friday 30 January 2015, at Red Mud, St Mark, was found dead. 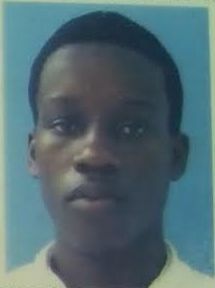 A release from the Royal Grenada Police Force said that Lawrence’s body was discovered approximately 9 am hanging from a tree in Belle Vue Mountain, St. Patrick, by a farmer. He was pronounced dead by the attending doctor. A post mortem is scheduled. Last Friday, police issued the wanted man release after investigations indicated that Lawrence, who is the ex-boyfriend of Jessie Narine, was apparently responsible for her death. Narine’s chopped body was found in a river close to her home at Red Mud, St Mark. The mother of two was on her way to work when the gruesome act of violence was committed against her. There are reports that the couple had a history of domestic violence but were not living together, as she had ended the relationship a few months ago. A statement on the Facebook page of Foodland Supermarket where she was employed as a cashier for the past five years, said that words cannot express the sorrow and hurt felt by the management and staff. “The Management and Staff of Foodland Supermarkets extend our condolences to the family, friends and loved ones of Jessie Narine. Her infectious smile and friendly personality will never be forgotten by us. We are deeply saddened by the news of the passing of Jessie. She was more than just a co-worker, she was a true friend to us all,” said the message, also said that the supermarket would not be the same without her.